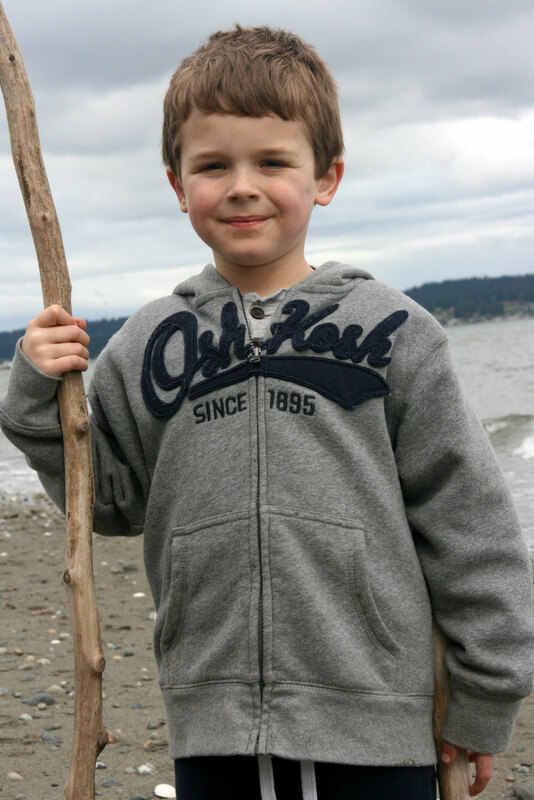 On Saturday after the taekwando tournament, we did a little exploring on Whidbey Island. I had done a little research and found a beach that looked nice. It’s called Double Bluff Beach. 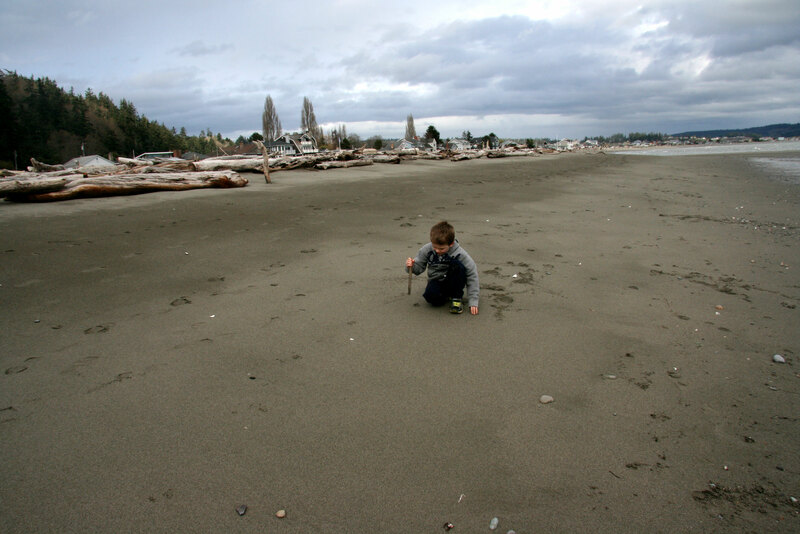 A great beach for a little boy to play. 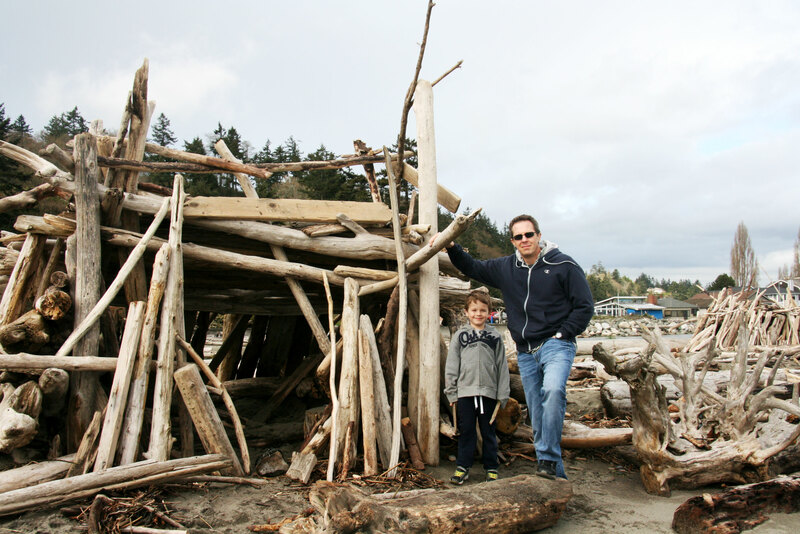 There were these huts constructed with driftwood. 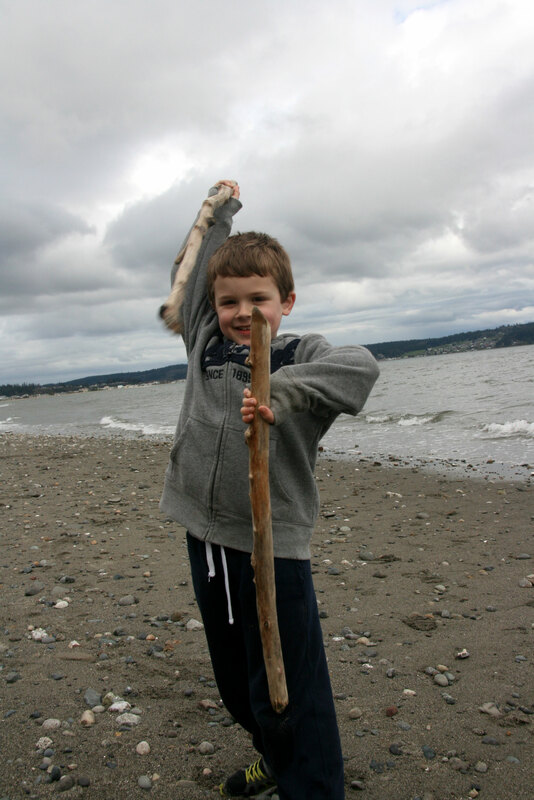 And so many sticks with which to pretend and do battles. 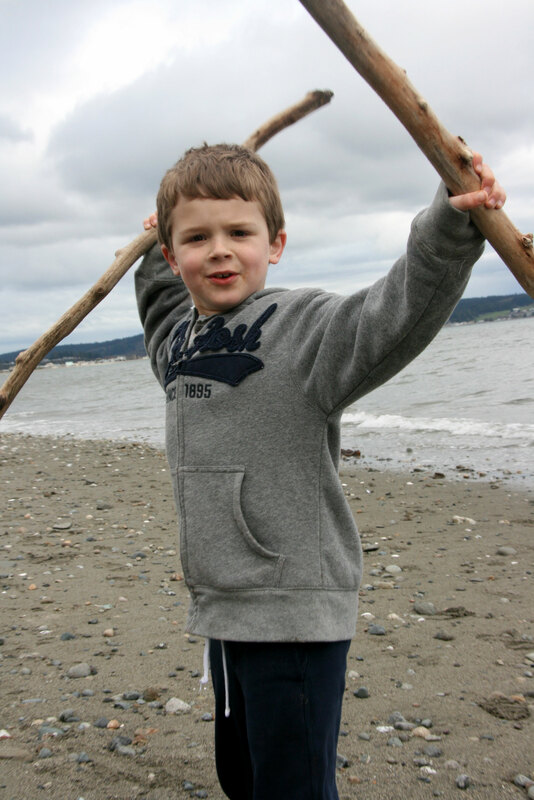 All Davey really needs for total entertainment is a beach with sticks, sand, and rocks. 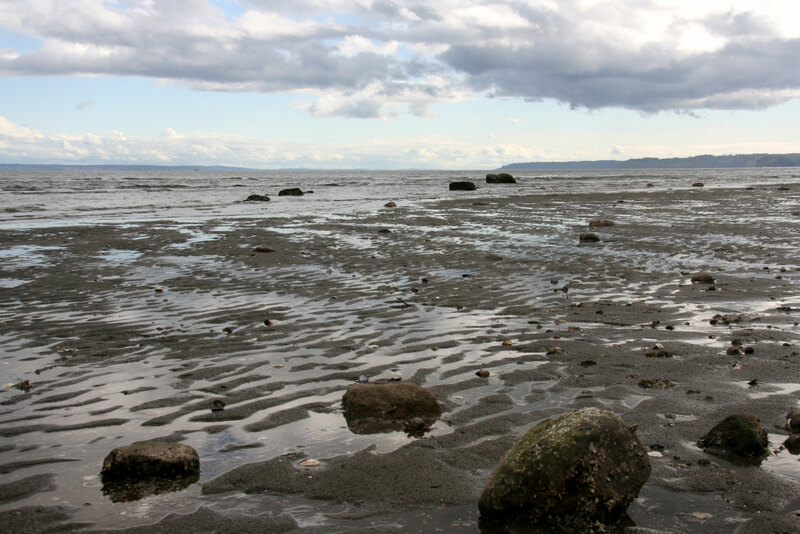 The shells and small tide pools though were definitely a great addition to that as well. We walked a ways down the beach seeing what we could see and finding little things. Davey pretended all the way there and back. 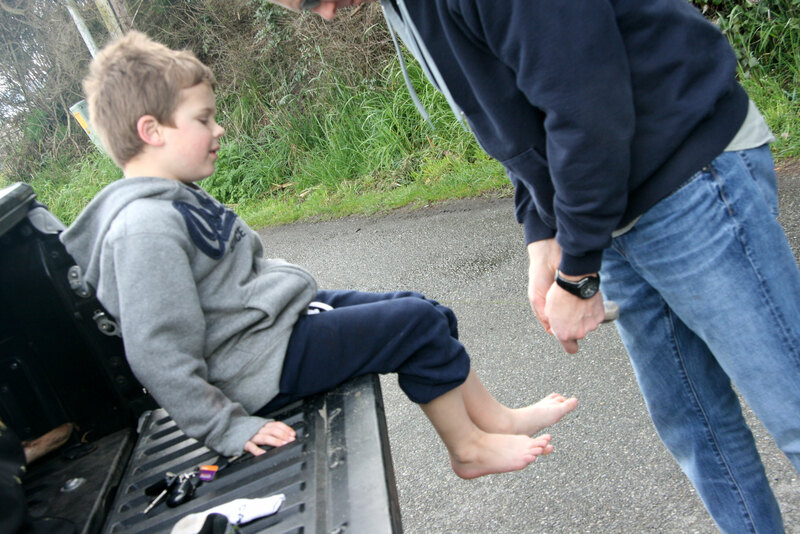 After we were done, David helped Davey with his shoes. He had so much sand in his shoes that I don’t know how he could walk. 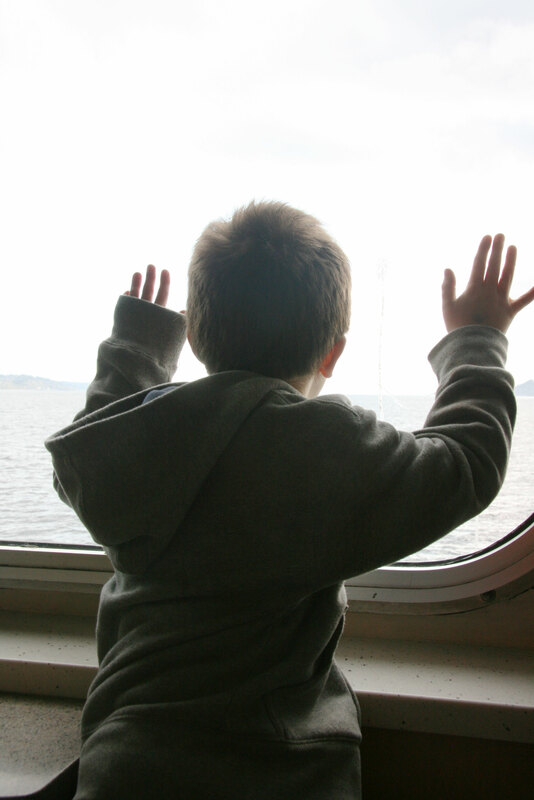 Davey loves to ride on the ferry (we do too), so we drove down to Clinton and took the ferry to Mukilteo. We finished the trip off with fried fish and then ice cream for dessert at Ivar’s. We have to get back to the beach soon! 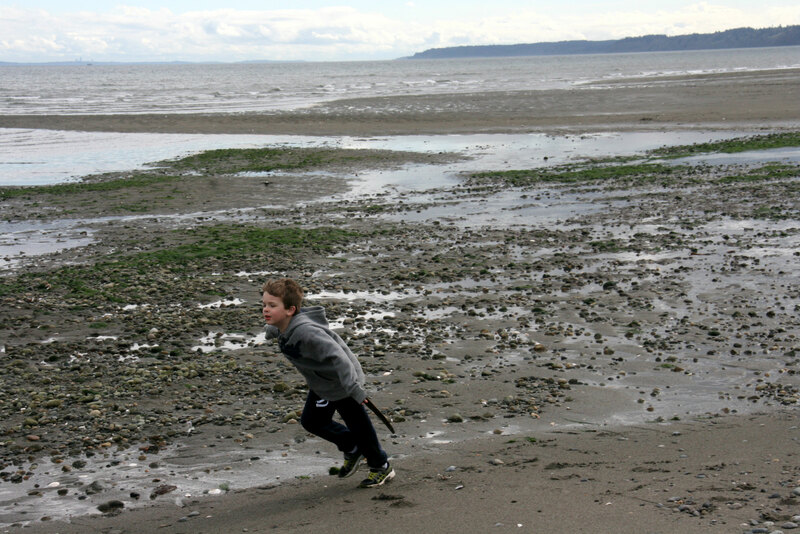 This entry was posted in Explorations, Family and tagged Double Bluff Beach, Whidbey Island by cpeezers. Bookmark the permalink.